‘THE GHOSTS OF COCKLESHORE CASTLE ‘series – suitable for children aged 6 – 11. 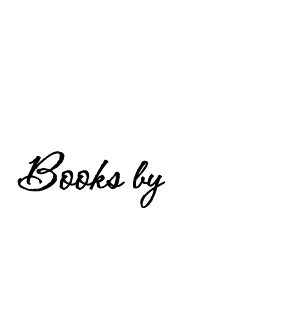 Septimus is one story in one book. The second book is a flip book with Horace’s story at one end and Edward’s at the other. The third book also flips. Septimus Smythe is a ghost with a problem. He is the star attraction at the castle where he haunts, but lately, things haven’t been going too well for him. He’s been getting stuck in walls, reappearing at the wrong time and removing his head has been getting harder and harder! The other ghosts decide that Septimus needs a holiday to rest and recover, and with the help of his new friend, Jack, Septimus is getting better at haunting. But then the Spectre Detectors arrive and threaten everything! There’s trouble at Cockleshore Castle and it looks like sabotage. But why? The ghosts are determined to get to the bottom of the mystery. Septimus, Edward and Horace discover the truth: the sabotage means that the castle could be sold to Elmer J. Wutherington who has horrible plans for it – and for the ghosts! What will become of them? With the help of the friends they’ve made over the years, they hatch a plan to thwart Wutherington ... but will they be able to save Cockleshore Castle? 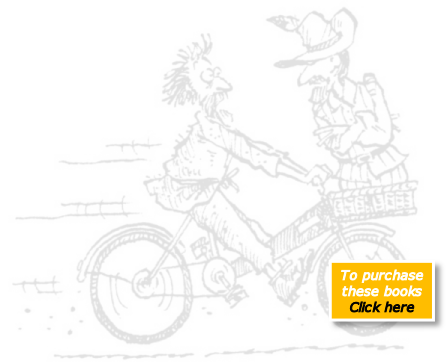 Can William stop the bicycle thief? Who is causing the sabotage at Hardleigh Hotel? Floods, false trails enormous exploding marrows and suspects upended in pig swill – all in a day’s work for William! Loaded with clue summaries, suspect lists and lots of action, readers can pitch in with the detective work and help William and Thomas in their efforts to become great detectives. 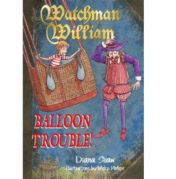 This is the second book in the Watchman William series. William and Thomas are at it again – solving crimes, uncovering mysteries and munching their way through a seemingly endless supply of ginger nuts! What is the true meaning of the secret message? Who has stashed a locked trunk in the old house? And what’s inside? Who is stealing pedigree dogs? How will they survive their adventure in a runaway balloon? Can you help William and Thomas with their crazy enquiries?